The small and sweet hatchback offered by Chevrolet through General Motors is Chevrolet Spark which is going to be launched today, i.e. 15th Oct 2012. I Lata Banarjee from Kolkata had already booked it knowing every detail about it. The car is in my budget and offers reasonable comfort, excellent mileage and good looks. It is a perfect car for me. Being released near the festive season the car has got great opportunity in the market and I can say this as I have seen the many customers at the showroom when I went for one. I am waiting for the launch very eagerly, though I have seen the car. It has got different looks, different from other hatchbacks in Indian market. I have read about it in news which tells that the work of engine and suspension is coordinated to output great mileage and pickup. The smooth drive with the change in manual transmission has been worked on a lot for the ease of driver. The interiors are very comfortable, spacious and soothing with the brilliance of features available in it. The powerful AC is capable enough to cool the car in few seconds. The effortless movement of power windows is also very relaxing. I need not worry about the safety of the car with center locking system. Even the braking system of the car is excellent. It never let me worry about the rash driving or when the chances of accident are there. It can be driven very easily by the new learners even. This is even accompanied by the work of smoothly rotating steering wheel which gives an effortless drive. I am sure that I have made no mistake by selecting this car. The interiors of my car are very comfortable with all the needed features available in it. 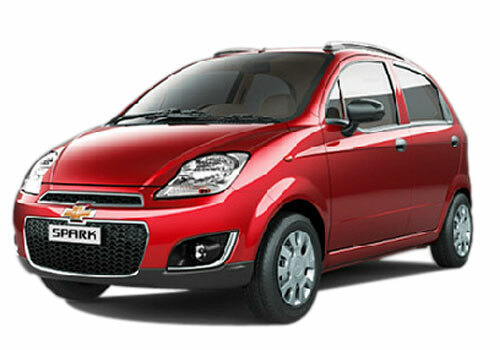 New Chevrolet Spark launched at Rs Rs 3.16 lakh...and car is updated with lots of New features..